Brett Larsen is an experienced litigator with a practice focused on general civil and commercial litigation in state and federal courts, including contract or employment disputes and a wide range of products liability, toxic torts, creditors' rights, and insurance coverage matters. 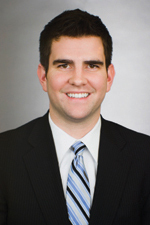 Mr. Larsen joined Hinshaw & Culbertson LLP as an associate in May 2007. Previously he was a summer associate with the firm in 2006, and a law clerk in 2007. He spent the summer of 2007 as a Public Service Special Prosecutor for the Milwaukee County District Attorney's office, where he gained substantial trial experience. As a prosecutor, he was the lead attorney for the State of Wisconsin in eight jury and court trials as well as in numerous evidentiary hearings. During law school, Mr. Larsen worked as a research assistant in international law for Professor Andrea K. Schneider. In addition to his other law school accomplishments, Mr. Larsen was a member of the Dean's List and a participant in the Marquette Moot Court Program. He was a recipient of the Law Alumni Scholarship and was Secretary of the Environmental Law Society. Prior to his legal career, Mr. Larsen was a newspaper reporter. Drafted evidentiary motions and assisted in executing a defense strategy in a design defect trial in which a plaintiff sought $27 million, but recovered nothing, from an automobile manufacturer. Researched and helped implement a litigation plan that allowed an insulation manufacturer to resolve a $13 million trademark and false advertising case for less than the cost of defense. Drafted and successfully argued a motion for summary judgment dismissing tortious interference with contract claims against a warehousing and logistics company totalling $1.4 million. Took depositions of plaintiffs seeking $1.1 million in lost profits arising from an alleged construction defect and used their testimony as the basis for a successful motion dismissing their claim against a contractor in its entirety.